Nexon has finally shed some light on Peria Chronicles. The long-awaited anime sandbox MMORPG saw its development extended to improve several features that were criticized during its public showing at G-Star 2016. Nexon Korea’s CEO Lee Jung-hun revealed during G-Star 2018 that Peria Chronicles wasn't canceled. However, the lack of news was worrisome, but you can now rest assured that the game is alive and well. 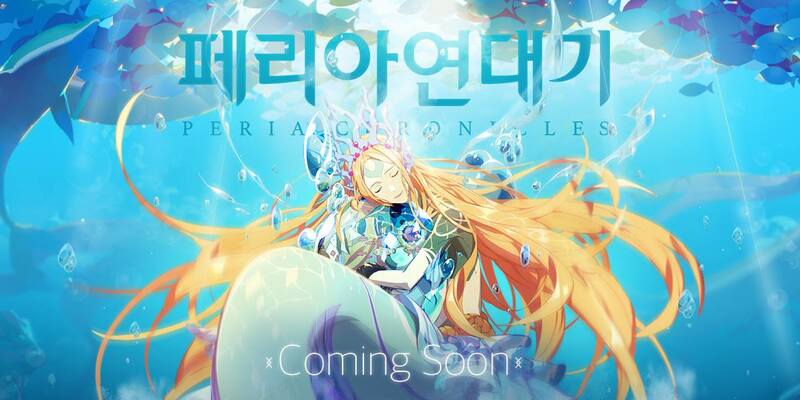 The new Peria Chronicles ‘Coming Soon' image is right below. What can we say about it? Well, it seems to be set underwater and features the staple blonde girl in blue dress from Peria Chronicles' earlier promotional trailers and images. It comes with plenty of fish and bubbles, and it's all kinda dreamy. Now we're looking forward to seeing some new screenshots or… gasps… a new Peria Chronicles trailer. One can only dream.